Sonia Hamdani joined the firm in September 2017. After graduating from the University of Bolton, where she studied a degree in Psychology, she went on to complete a Graduate Diploma in Law. Working as a paralegal, Sonia assists Peter Garsden, the head of the Child Abuse department here at Simpson Millar. She is due to complete her Legal Practicing Certificate in 2018. Outside of work Sonia is a member of three separate panels involving looked after children and disadvantaged people from a cross section of cultural and religious backgrounds. This includes sitting on a management board for looked after children’s education and working with the independent advisory group for Greater Manchester Police, which seeks to hear views and experiences of people within local communities. 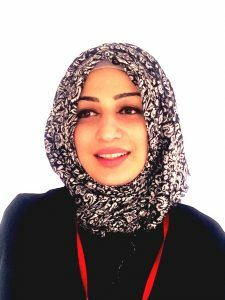 Most recently Sonia joined Manchester City Council’s Corporate Parenting Panel, where working alongside the Director of Children’s services, her role is to mentor young people.